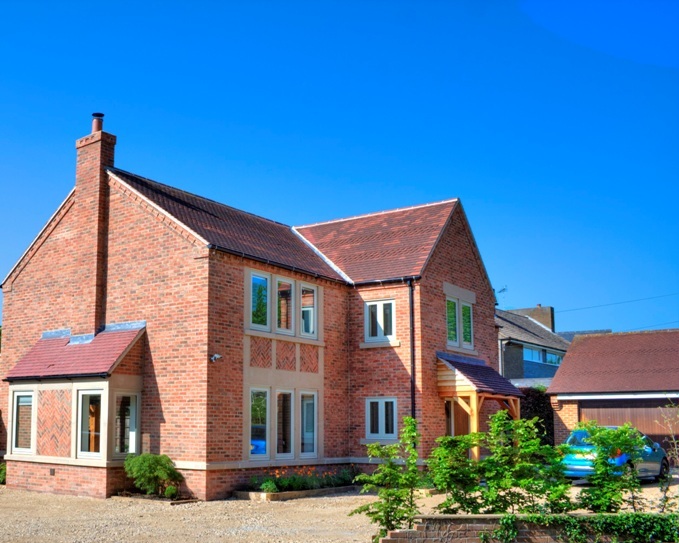 Our clients approached bi Design to transform a recently purchased detached property in a prominent corner plot location. The clients brief was more about the external appearance and kerb appeal of the property than creating additional floor space. The existing floor area needed reworking to match the clients needs. 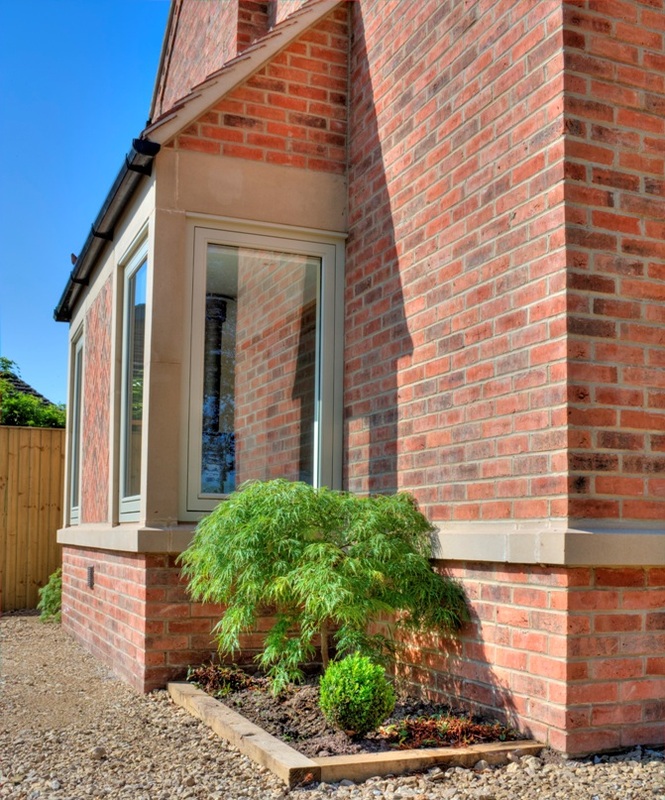 The house was constructed from an unattractive house brick with infill cladding panels and lots of external pipework. 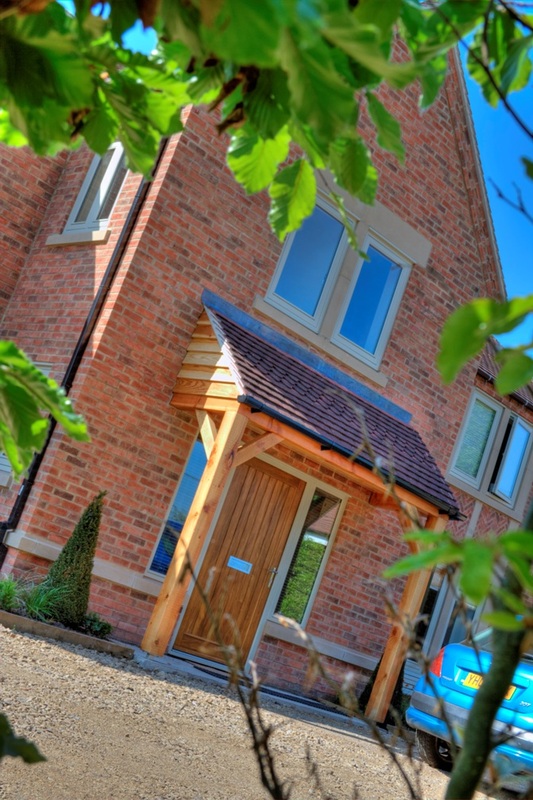 Our concept was to redesign the front of the house into a signature stand alone property. 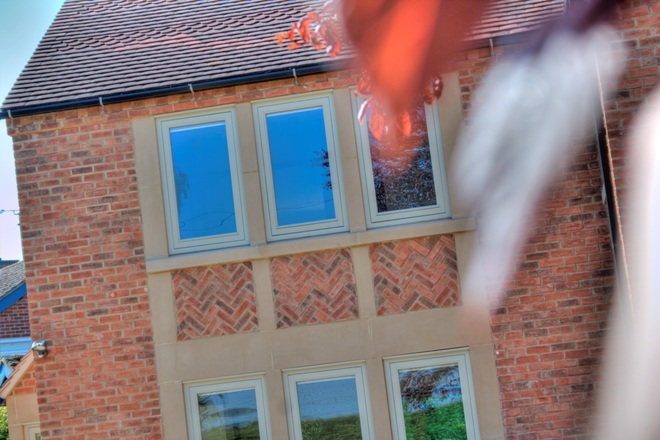 This was achieved by forming large stone surround windows either side of a new entrance reception extension. 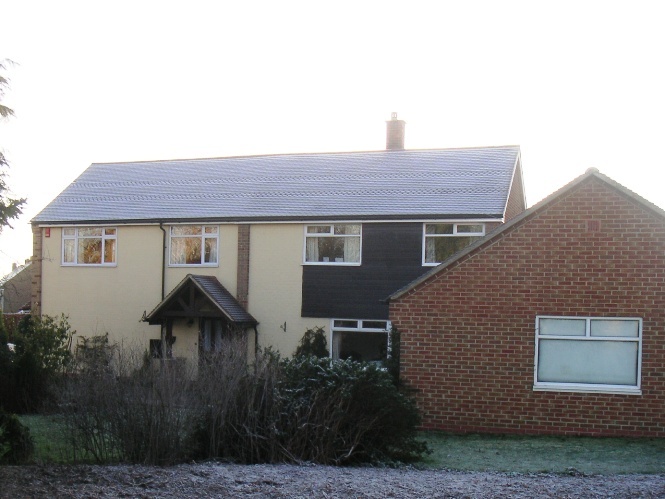 A new brickwork skim was proposed around the house which transformed the outer appearance and allowed for the large fascia to be replaced with a new brick corbel eaves. To the rear of the house an existing single storey extension was to be replaced with a new pitched roof extension which would open up the back of the house and create a unique kitchen dining living space. The outcome was to completely change the outside of the house and create the appearance of a brand new house. The only retained existing feature of the external fabric was the red plain clay tiles with feature club tile banding. 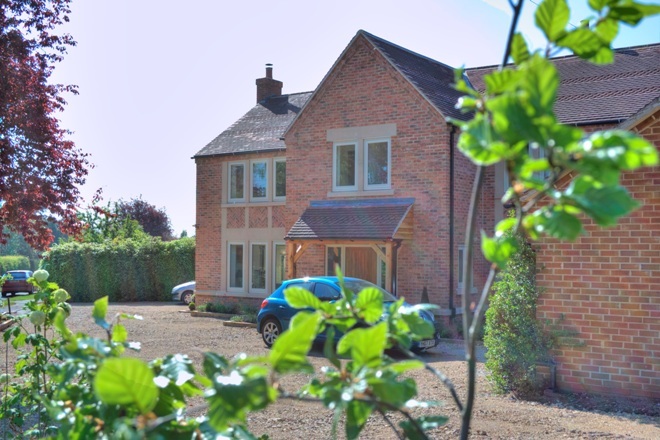 The new central gable with porch and stone surround windows make the property look far more substantial and inviting whilst not really making the house much bigger. 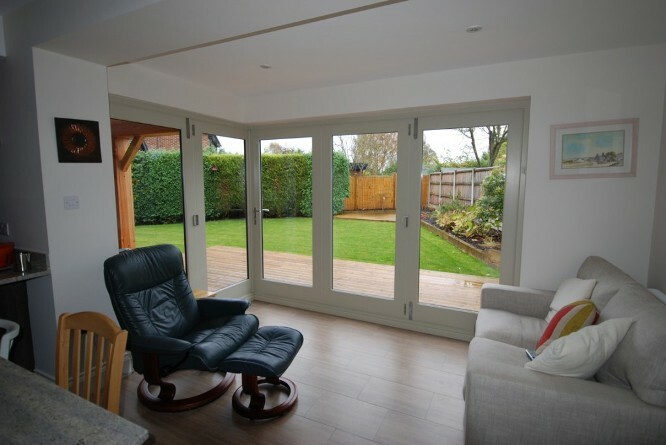 The new rear extension features a corner bi folding door system with no corner post so when opening the roof appears to be floating. 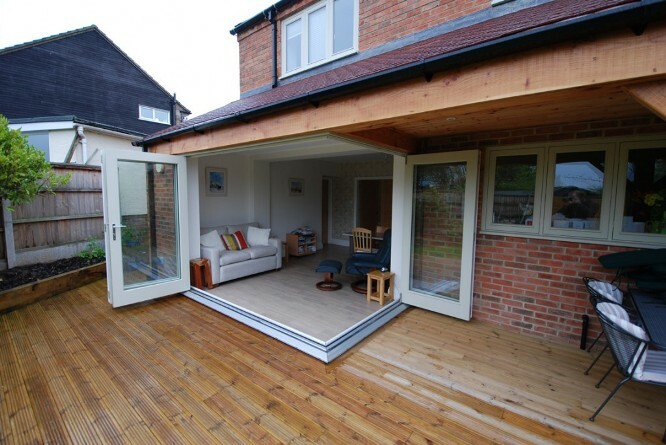 The extension links into a verandah which creates an ideal space for outdoor entertaining. The property now warrants its prominent corner plot location and sets the bench mark for other developments along chestnut way and Burton Road.